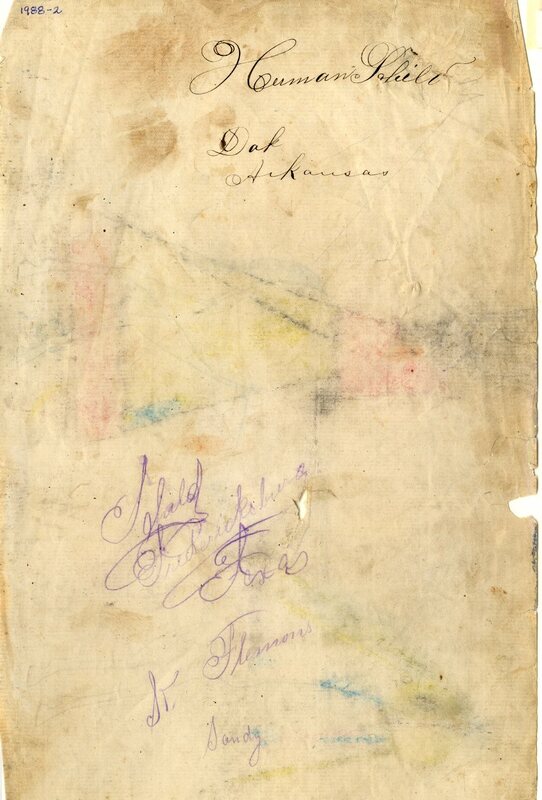 The signature page of the ledger book shows the name “Herman Schild, Oak, Arkansas”, in black, and three additional names below, in what appears to be a different handwriting: “Schild, Fredericksburg, Texas”, “K. Flemons”, and “Sandy”, all in purple pencil. TARL Archives.